The launch of Titanic II is set to mark the one-hundredth anniversary of the original cruise ship. But a mysterious adversary has hidden a bomb aboard the new ocean liner during its maiden journey. You are the sole person who can find out where the bomb is concealed and save the ship and all aboard. Search for hidden objects among original locations around the majestic ship, to discover hidden diary entries and other clues to reveal the bomb’s location. 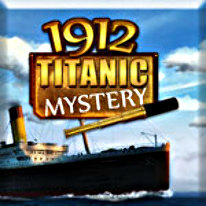 Along the way you’ll interact with different characters to learn little-known secrets of the original Titanic, and solve a century old mystery from that ill-fated voyage. Each level offers a tricky mini-game for you to solve, and as you complete scenes, you’ll unlock beautiful wallpapers that you can save to your desktop.